"I had sought for something that would say in the fewest and most searing words that there was another side to the age of the Edwardians--the age whose downfall we are living through. For that purpose I went back to the book ost of which I had translated just after my break with the Communist Party--Dunant, The Story of the Red Cross [by Martin Gumpert]. 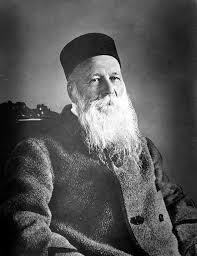 At the height of fame and wealth, [Henry] Dunant had gone bankrupt. He had lost everything. He was attacked and vilified. He disappeared almost from the face of the earth. But, now and again, someone would glimpse him, wandering a voluntary outcast in one of the great European cities, living in the slums, wearing ragged clothes and broken shoes, shunning alike men's kindness and their blindness. At last, even the memory of him all but vanished. Dunant was reported to be dead. Years later, an enterprising journalist found him still living, a white-bearded recluse, in a hospice in the Swiss mountains. A pang of conscience smote the world (in those days it was still possible to speak of a public conscience). A Dunant fad set in. Admirers sought him out. He fled them. The penniless old man was awarded the Nobel Prize for Peace. He gave it away. One morning, in his whitewashed cell, Dunant was found dead. he had left a testament. It said: 'I wish to be carried to my grave like a dog without a single one of your ceremonies which I do not recognize....I am a disciple of Christ as in the first century, and nothing more.' 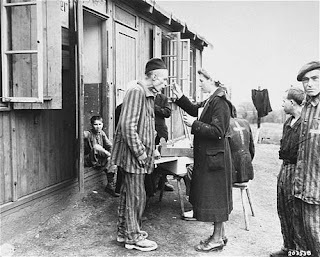 "
POLISH SURVIVOR AND GERMAN RED CROSS WORKER. Haha! Just as I suspected. As my friend calls it, "All of a sudden you are down the rabbit hole". In that vein, I started looking up some of the unusuals under your "Communion of Saints" sidebar and started browsing around "The Brothers Quay". Somehow, I ended up here: http://vimeo.com/57736904 with regard to your post on Emily Dickenson. I looked up a few more vimeo posts by that author and thought, "Oh, those are SO Heather!" We have had our first inch of snow here with sun and gorgeous leaves still falling. Lovely. And visits to aging relatives and friends and realizing how true are the words of Pope Francis concerning all the aging, lonely elders who have no one to visit, no one to eat with.... and trying to figure out how to better manage my time so as to be more available. Hard to do, as I am an *excellent* fritterer. The best thing is to discover that "the new evangelization" is happening every day with blogs such as yours. I get items to reflect on, connect to scripture, make an examen as the most wonderfully challenging posts appear. You are, in effect, a Francis DeSales of the modern world- busily tapping out instruction and reflection to your many unseen, everyday readers. Who could have imagined? Deo Gratias!